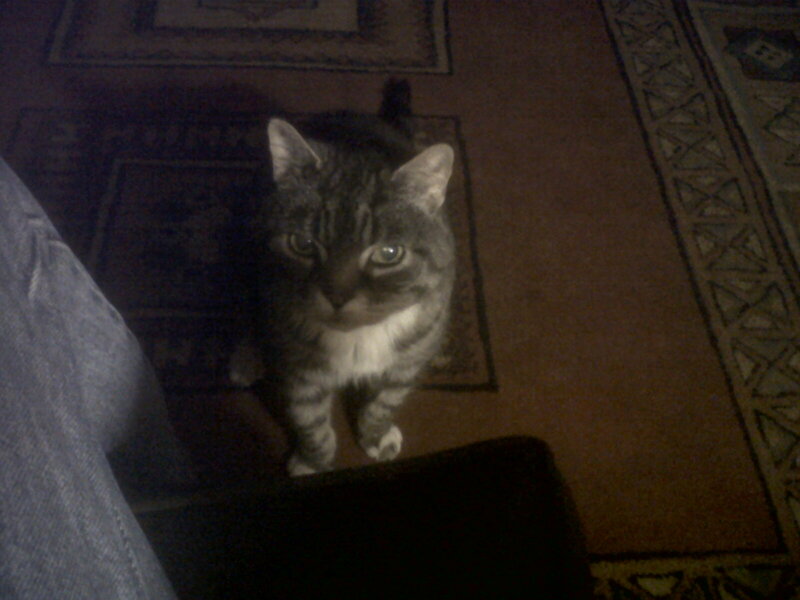 This entry was posted on July 27, 2011 at 11:39 pm and is filed under Columbo with tags cats, Columbo. You can follow any responses to this entry through the RSS 2.0 feed. You can leave a response, or trackback from your own site. He didn’t get any better overnight on Wednesday and was in some distress Thursday morning, licking and picking at his foot. I took him to the vet and got some anti-histamines which made him a bit woozy, so I decided not to go into work so I could keep an eye on him. He didn’t really improve all day, but was a bit better yesterday morning so I felt OK leaving him for the day. This morning he’s much better, limp almost back to the usual arthritic stiffness. Seems to have passed, fingers crossed. ..and as of today, Sunday, I carefully watched him walking around the garden and the limp seems to have gone entirely. I think the offending wasp might have been drawn into the garden by the profusion of brambles. There are tons of them, and very tasty they are! When I was struggling with private issues in Nottingham days, he was my best friend who didn’t need to talk but made me comfortable.. I will miss you, Columbo..